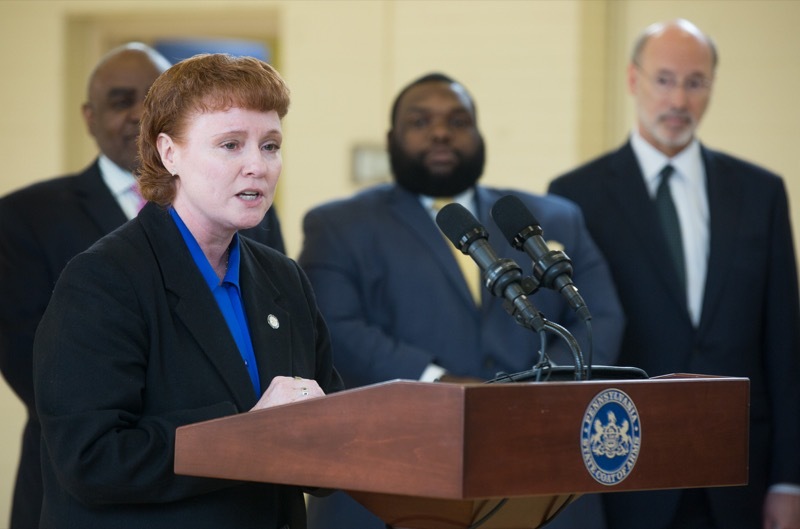 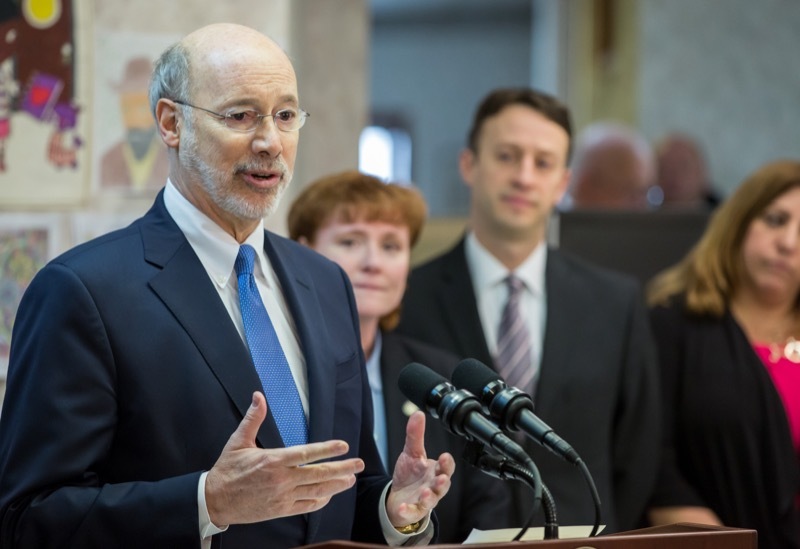 Harrisburg, PA - Today, Governor Tom Wolf announced plans for the Pennsylvania Department of Transportation (PennDOT) to invest more than $2 billion in roadway maintenance and highway and bridge capital projects over the next 10 years through its new Road Maintenance and Preservation (Road MaP) program. 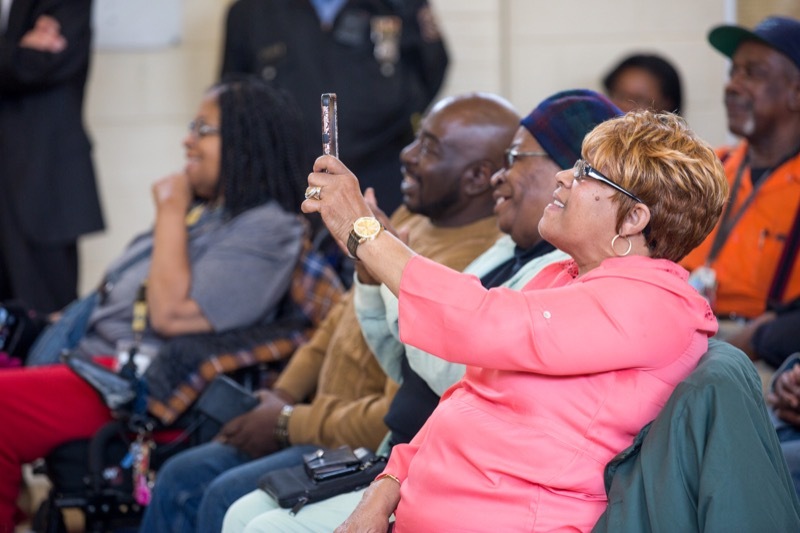 State Treasurer Joe Torsella and Auditor General Eugene DePasquale today honored and celebrate d the history, culture and innumerable contributions of African Americans to Pennsylvania during an event in Harrisburg, PA to recognize Black Hi story Month . 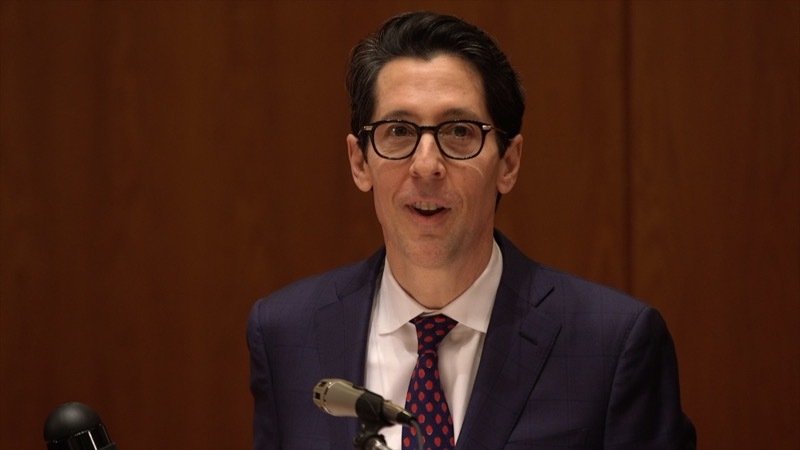 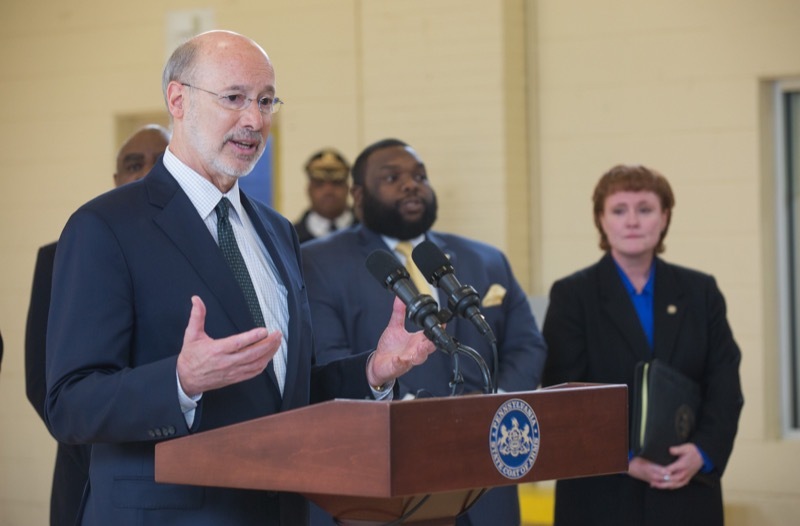 Harrisburg - State Treasurer Joe Torsella and Auditor General Eugene DePasquale today honored and celebrated the history, culture and innumerable contributions of African Americans to Pennsylvania during an event in Harrisburg, PA to recognize Black History Month. 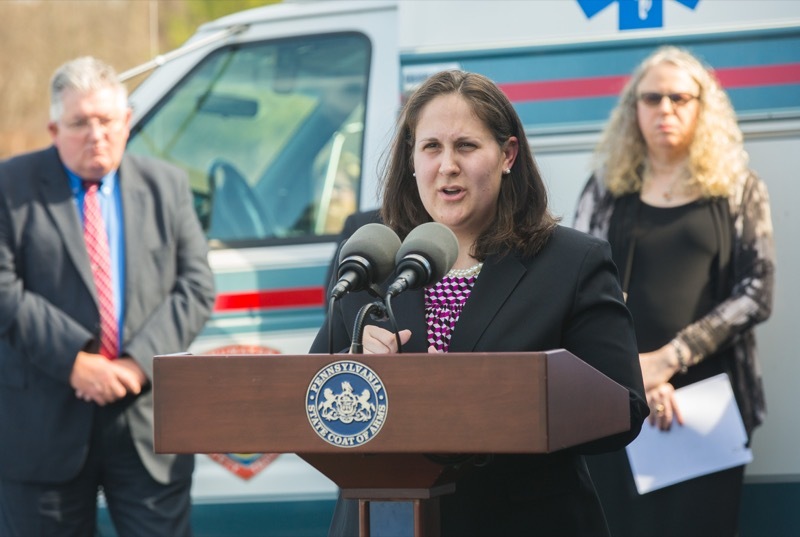 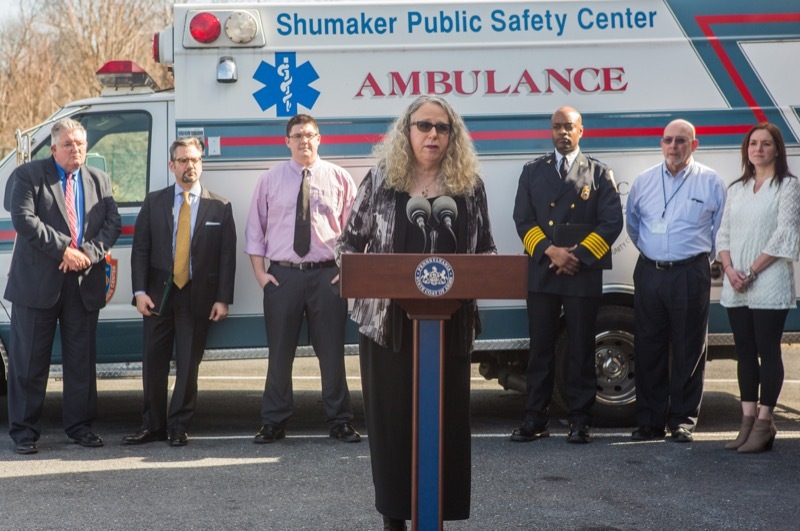 Physician General Dr. Rachel Levine and Acting Secretary of Drug and Alcohol Programs Jennifer Smith commended South Central EMS today for their active role in providing training for and using naloxone, a life-saving overdose reversal drug. 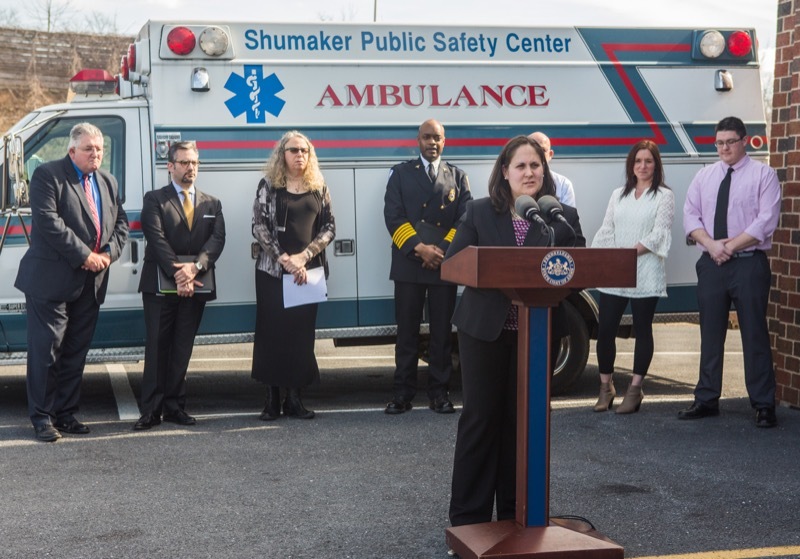 The recognition event also featured Mark McCullough, a recovery specialist andoverdose survivor who was saved due to the administration of naloxone by EMS providers. 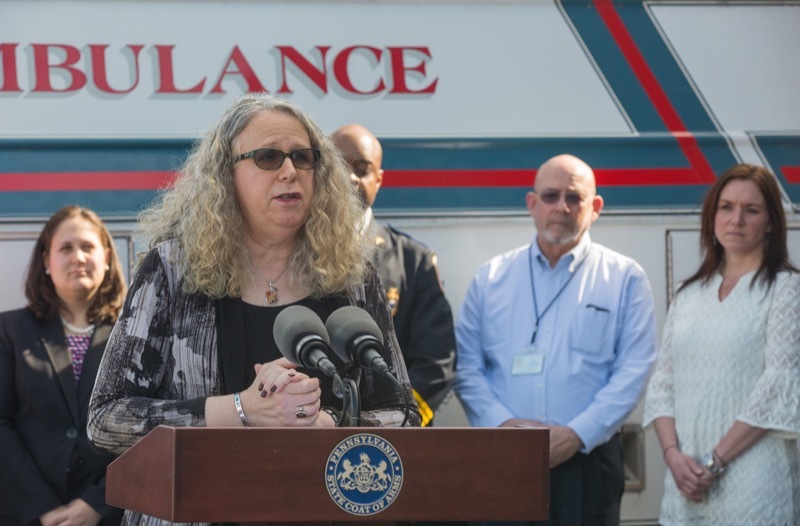 Physician General Dr. Rachel Levine and Acting Secretary of Drug and Alcohol Programs Jennifer Smith commended South Central EMS today for their active role in providing training for and using naloxone, a life-saving overdose reversal drug. 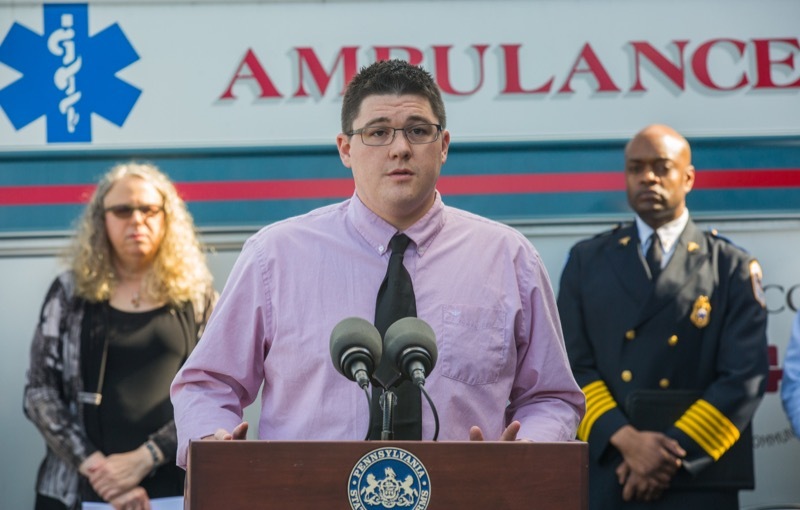 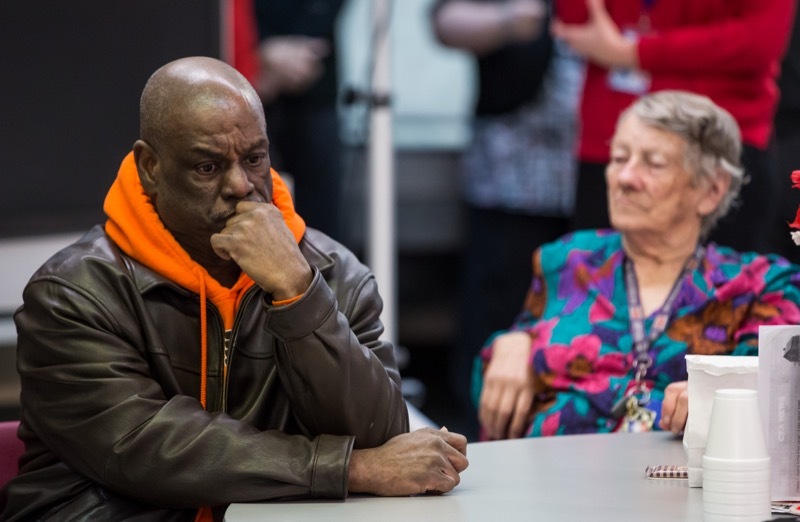 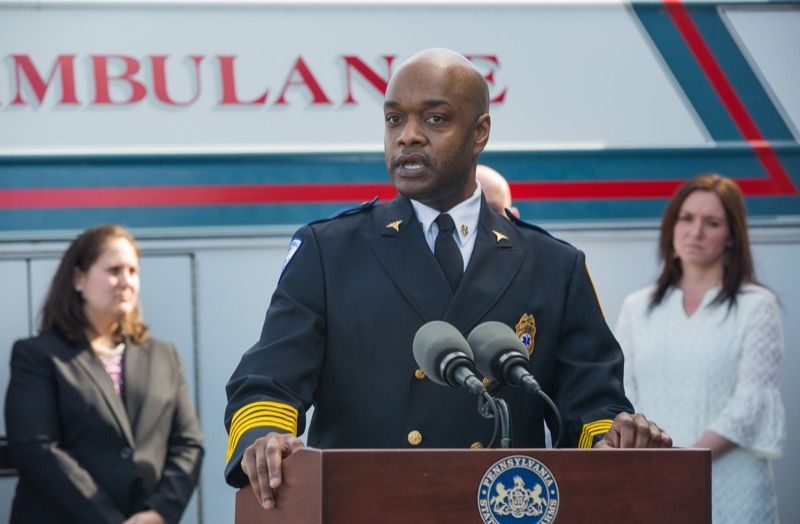 The recognition event also featured Mark McCullough, a recovery specialist and overdose survivor who was saved due to the administration of naloxone by EMS providers. 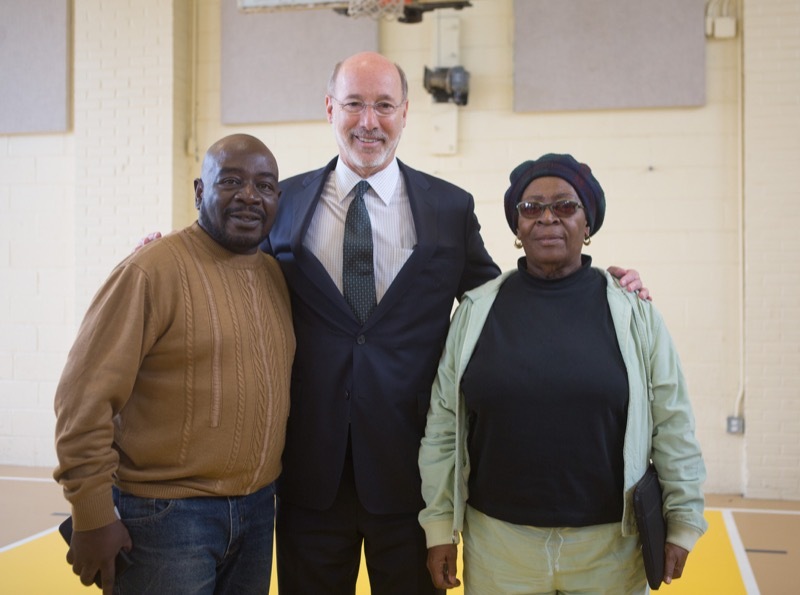 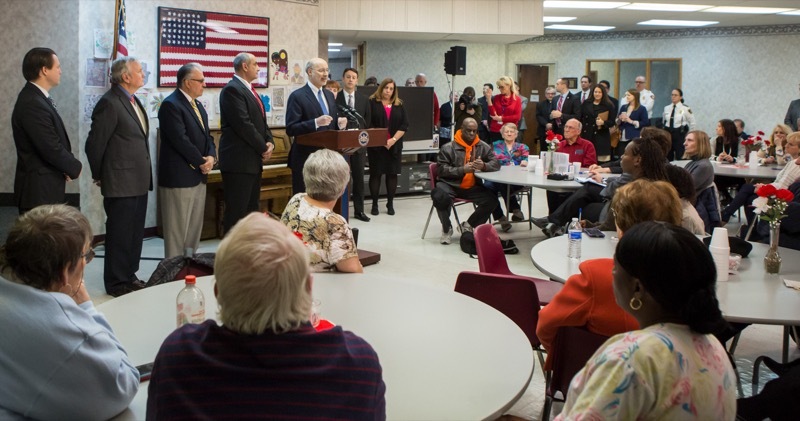 Today at the Wilson Park Senior Center in Philadelphia, Governor Tom Wolf announced the recipients of the 2016-17 Senior Community Center Grants which total $2 million from the Pennsylvania Lottery and will be distributed to 38 centers throughout the commonwealth. 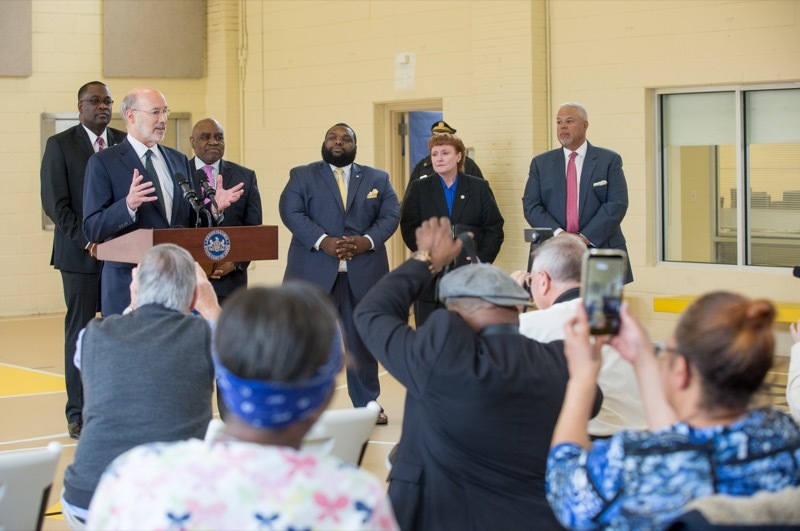 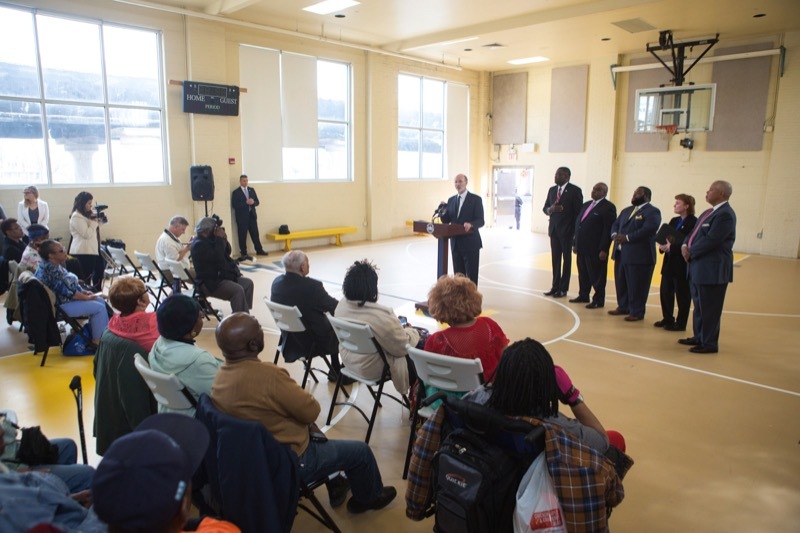 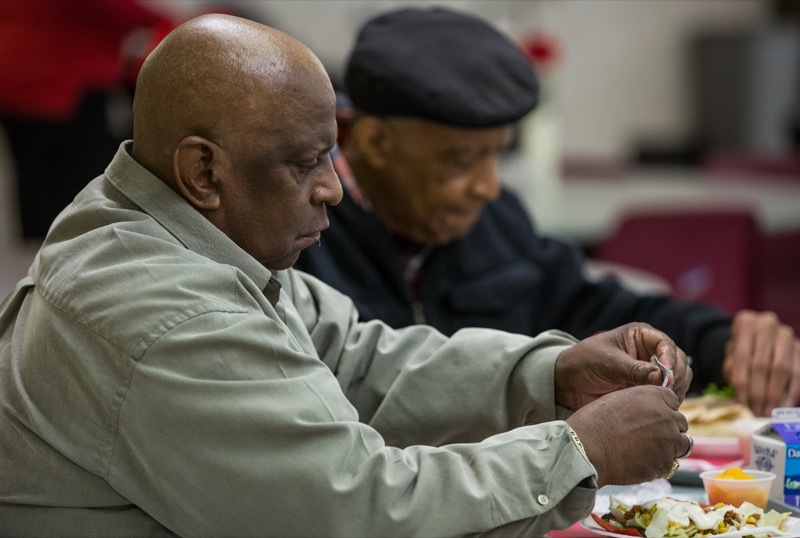 Today at the Wilson Park Senior Center in Philadelphia, Governor Tom Wolf announced the recipients of the 2016 - 17 Senior Community Center Grants which total $2 million from the Pennsylvania Lottery and will be distributed to 38 centers throughout the comm onwealth. 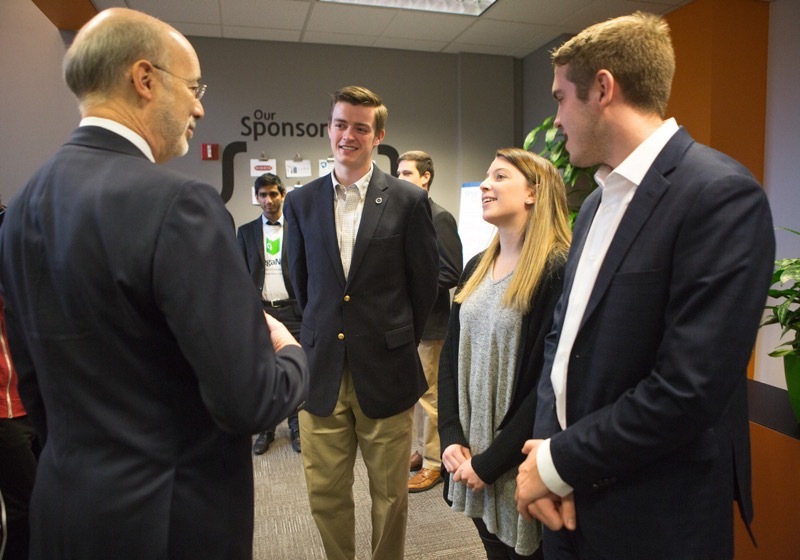 Good luck to the Penn State THON dancers and moralers getting ready to take the floor for 46 hours. 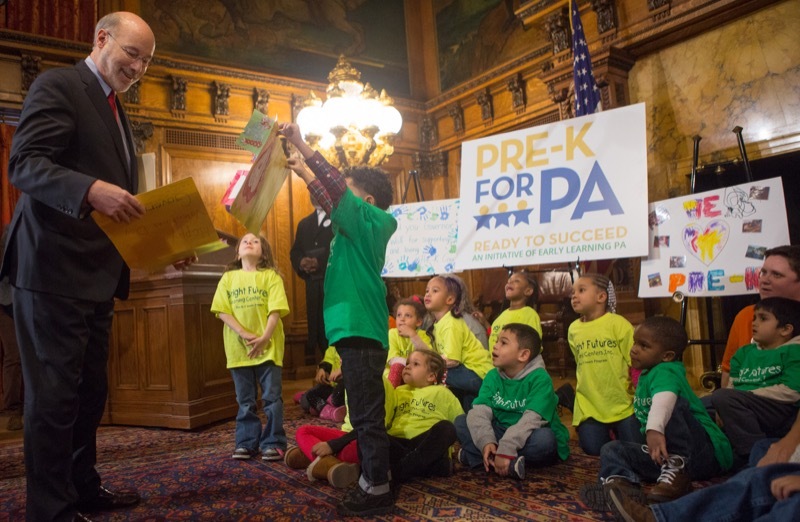 Have fun, be safe, and remember you're doing this for the kids. 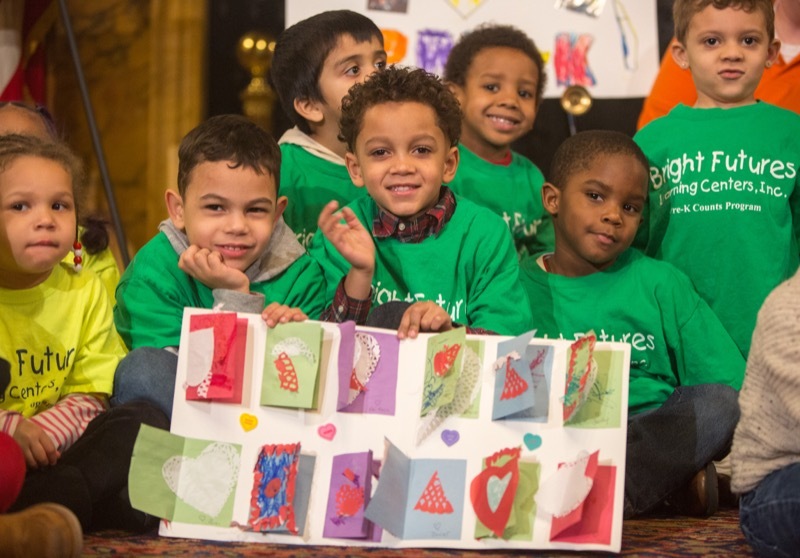 Looking forward to seeing you this weekend! 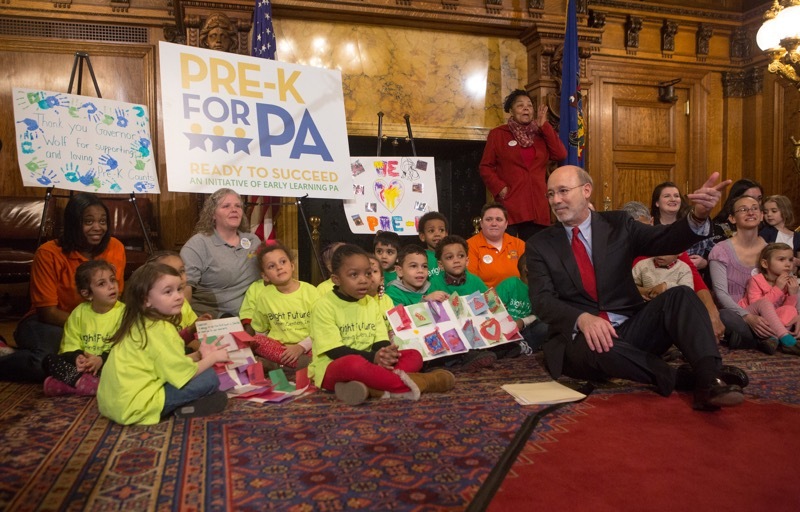 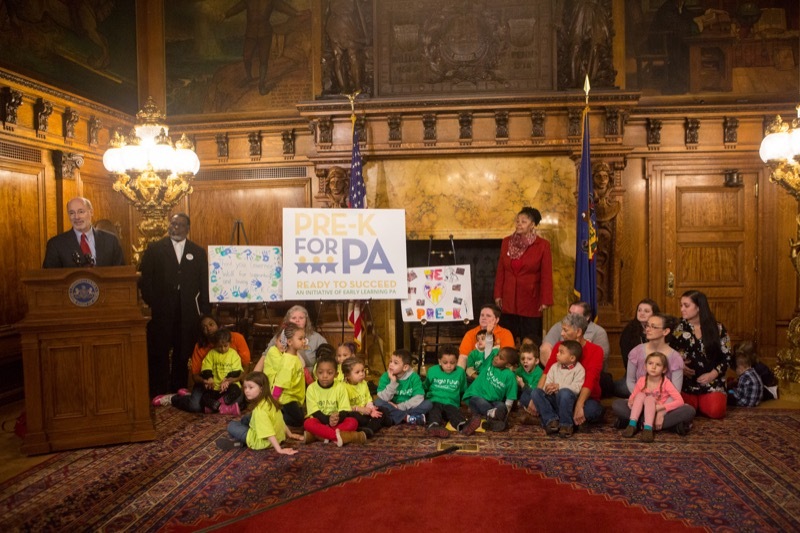 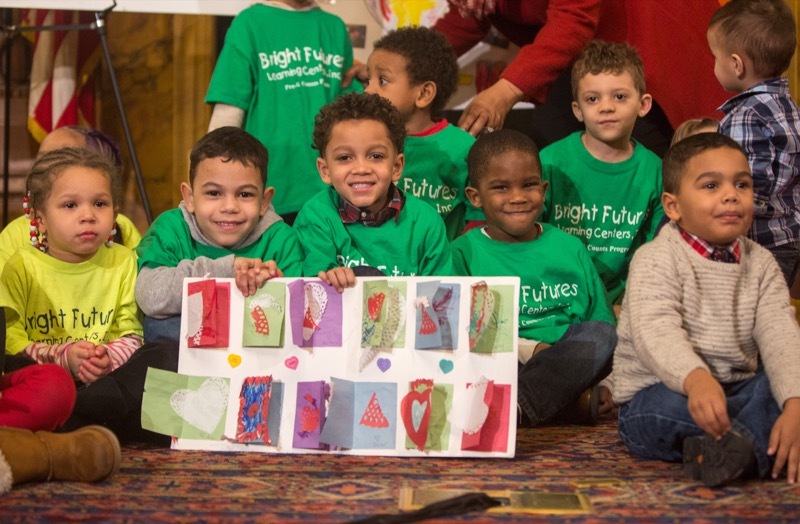 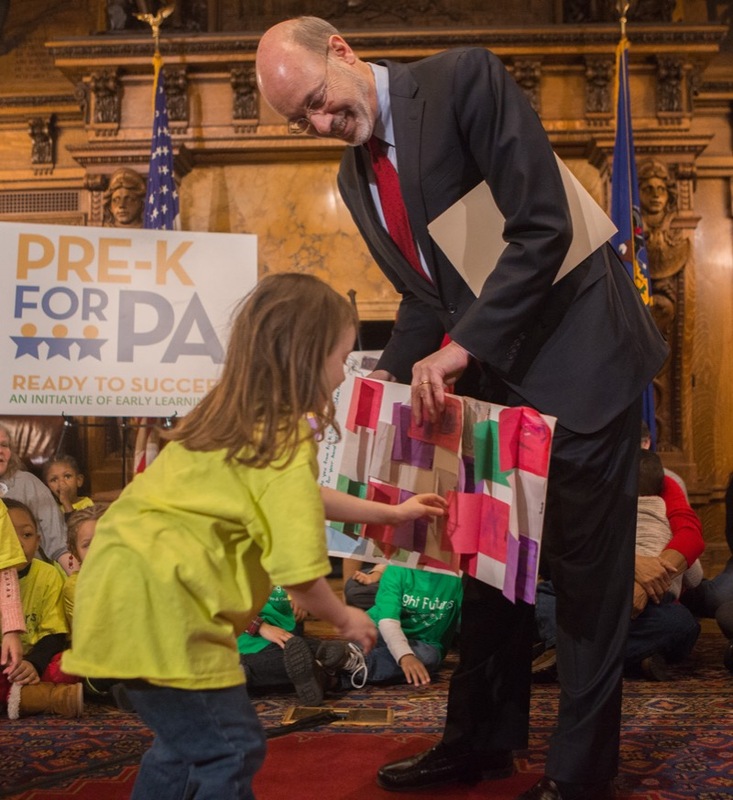 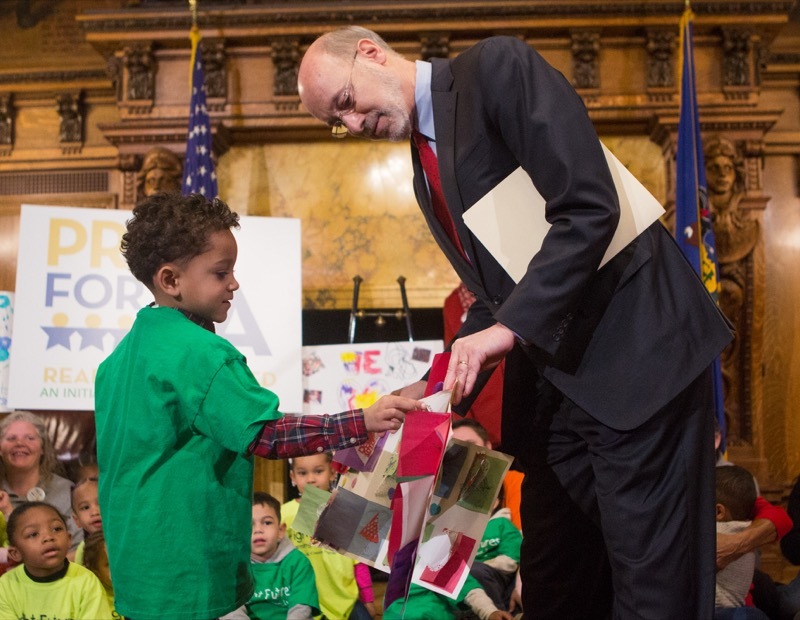 Today, Governor Wolf was joined by members of the Pre-K for PA Campaign to discuss his early childhood education investments and was presented with Valentine's Day cards from pre-kindergarten students as a sign gratitude for his dedication to education. 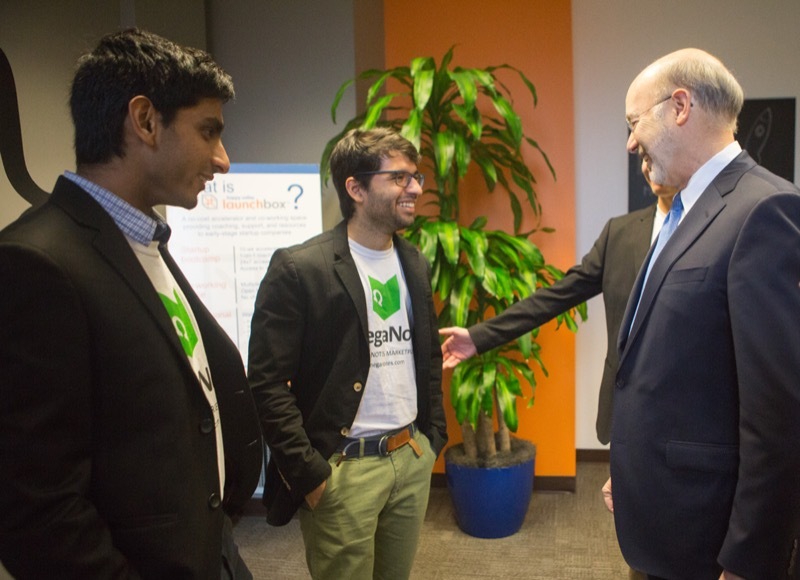 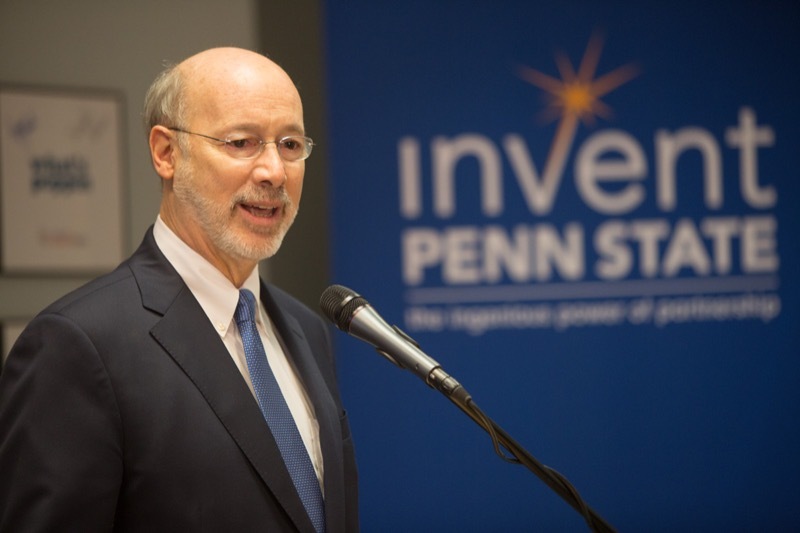 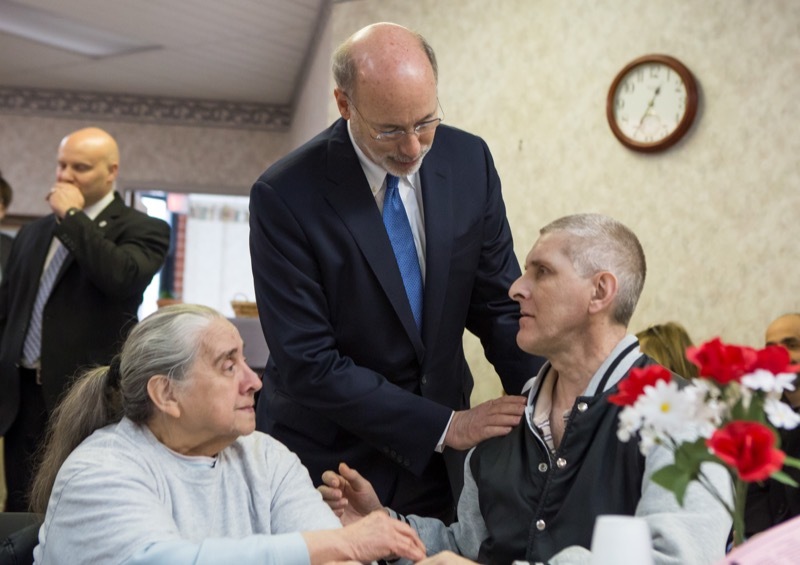 Over the past two years, Governor Wolf has made a new way for Pennsylvania. 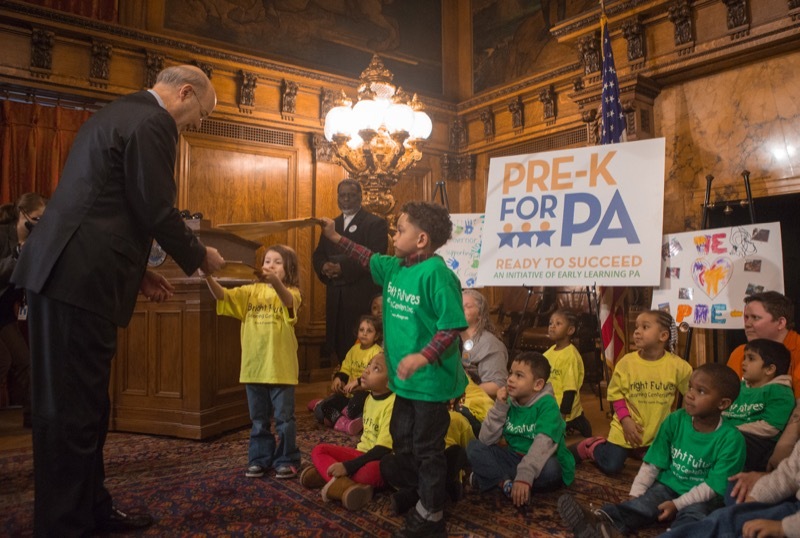 Instead of allowing schools to become the first casualty of our budget deficit, Governor Wolf has made them our first priority. 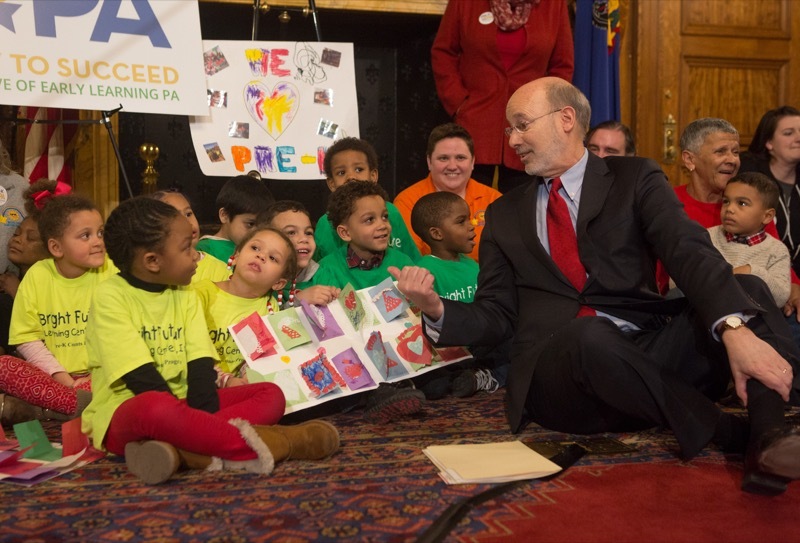 In just three years, Governor Wolf will have increased funding by nearly two-thirds of those short-sighted cuts to our public school system. 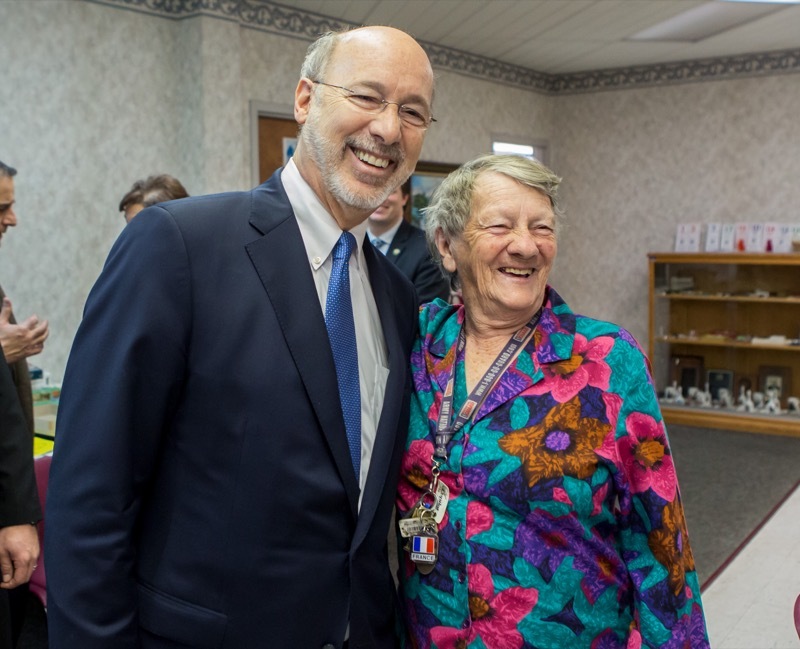 Today, Governor Wolf joined local leaders, legislators, and Department of Aging Secretary Teresa Osborne to discuss how his 2017-2018 budget is a new way forward for Pennsylvania's seniors. 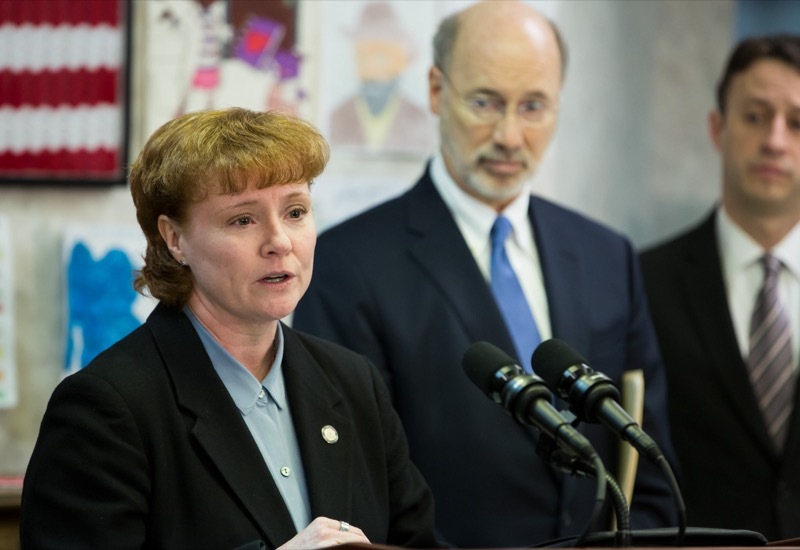 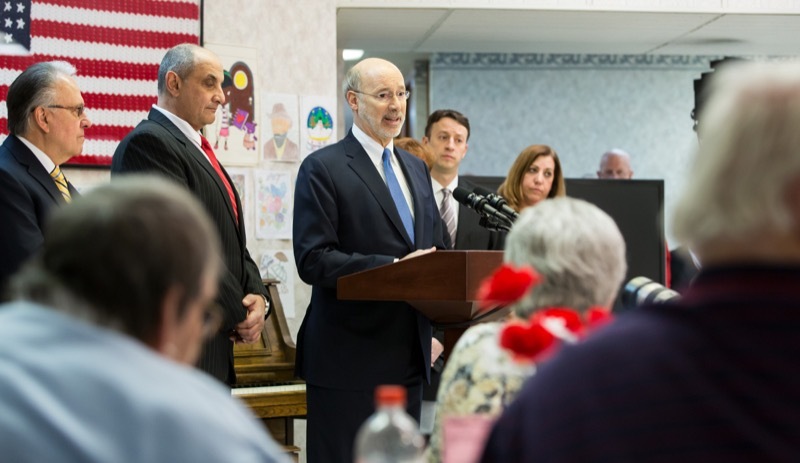 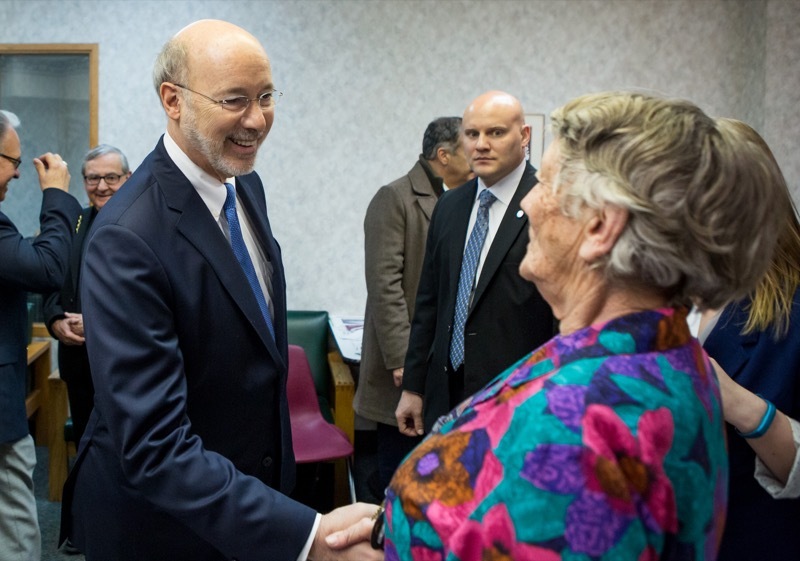 Wilkes-Barre, PA - Today, Governor Wolf joined local leaders, legislators, and Department of Aging Secretary Teresa Osborne to discuss how his 2017-2018 budget is a new way forward for Pennsylvania's seniors. 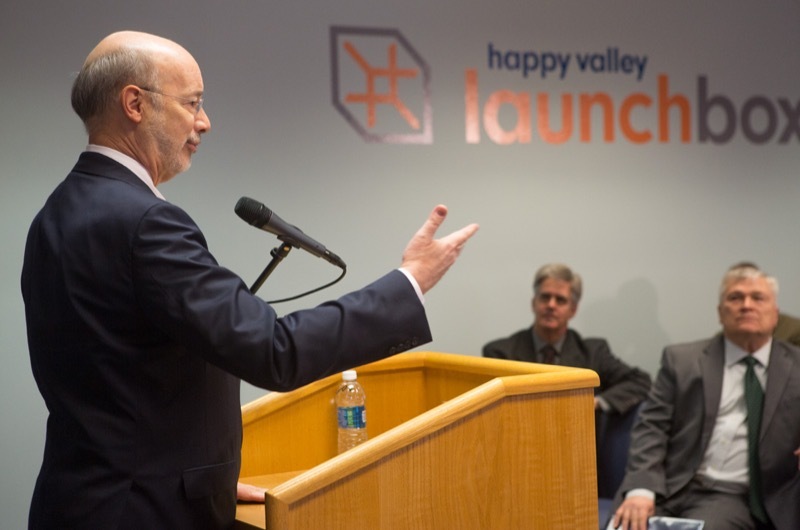 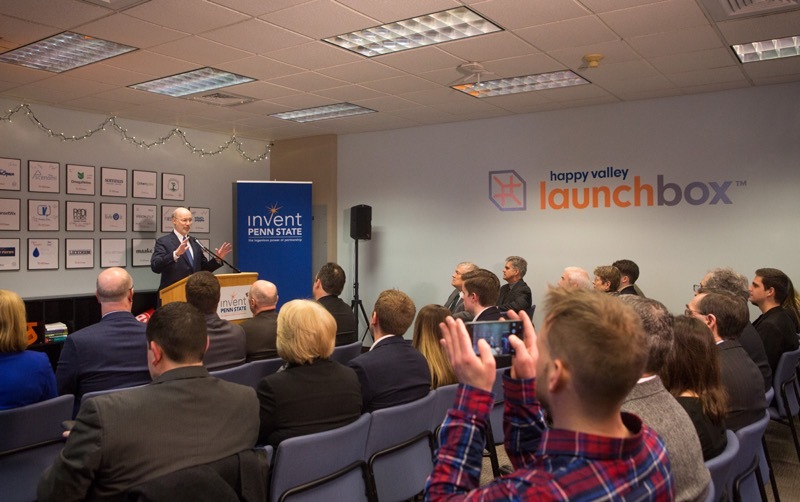 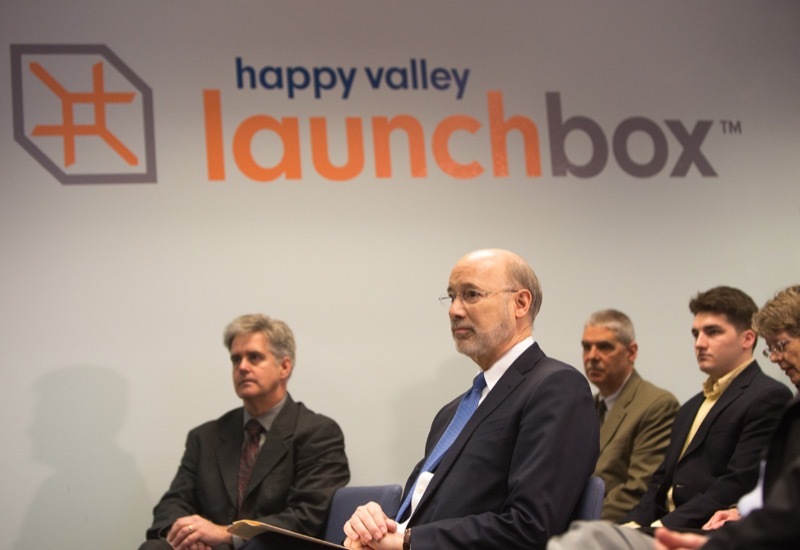 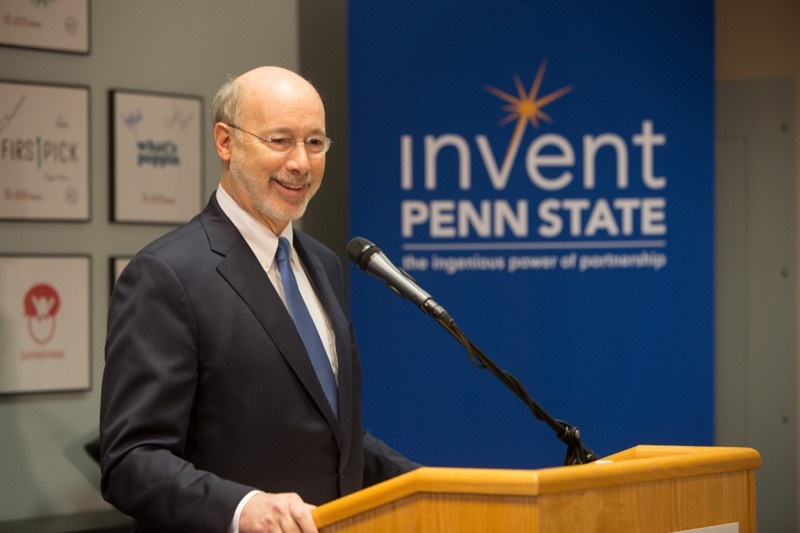 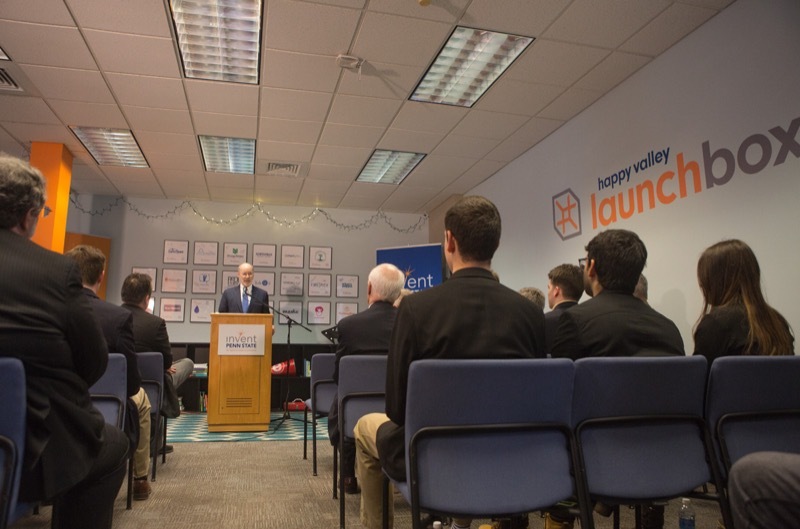 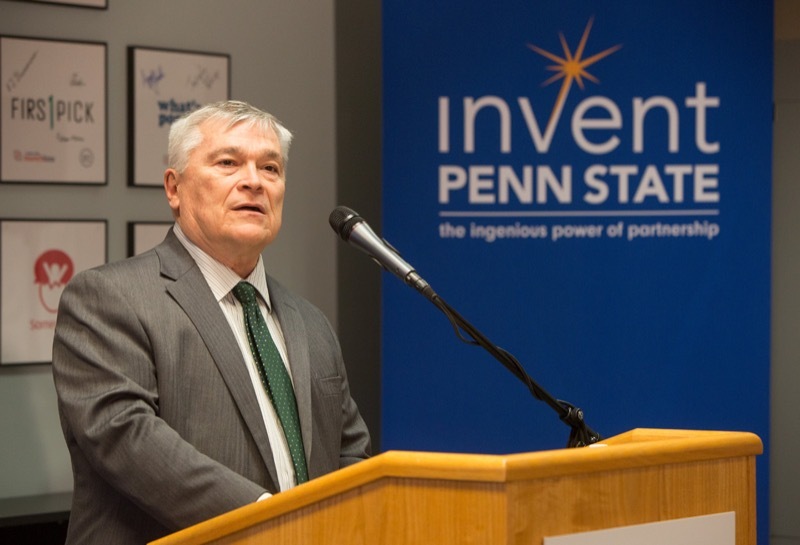 Today, Governor Tom Wolf was joined by Penn State President Eric Barron and state and local leaders at Happy Valley LaunchBox in State College to discuss the importance of entrepreneurship and outline initiatives in his 2017-2018 budget proposal that encourage job creation and improve university partnerships and workforce training.